Time series analysis is an important subject in finance. 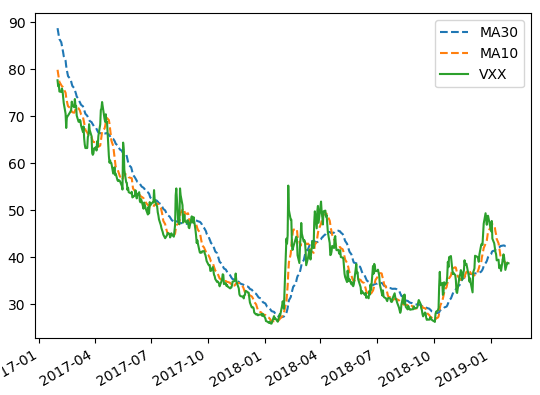 In this post, we are going to apply a time series technique to a financial time series and develop an investment strategy. Specifically, we are going to use moving averages to trade volatility Exchange Traded Notes (ETN). The system is implemented in Python. Graph below shows the MAs and VXX for the last 2 years. 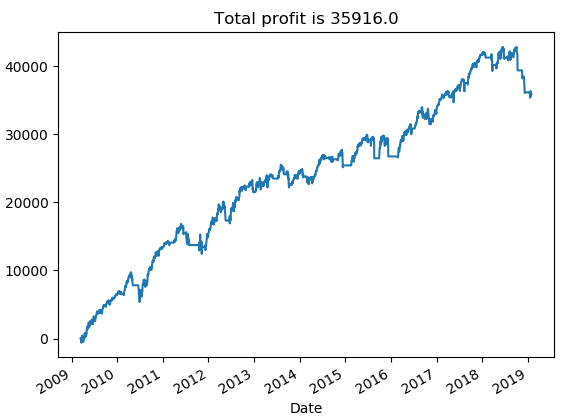 The position size is $10000; leverage is not utilized, and profit is not compounded. Graph below shows the equity curve for the trading strategy from January 2009 to January 2019. Click on the link below to download the Python program and data file.